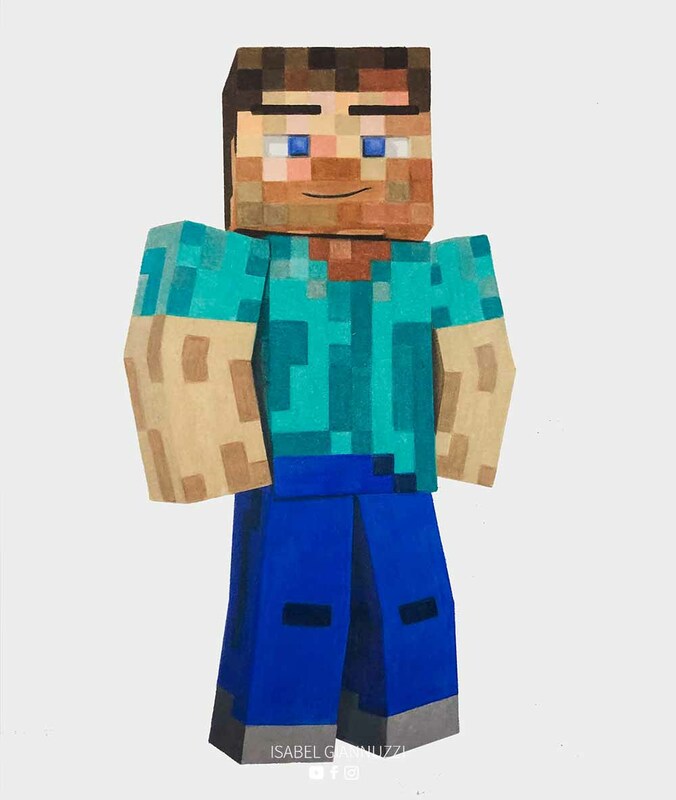 Drawing Minecraft: Colored pencils drawing of Steve from the vidogame Minecraft with a final short animation. Materials: Prismacolor Colored Pencils and acrylic paint for the small white details. Hey Guys! This week I decided to draw Minecraft character: Steve. The most difficult thing in this drawing is that the body is divided into a lot of squares! Since the character is very easy to draw I thought to create in the final part of the video a short animation! For the animation I used Adobe After Effect! This drawing took me 10 hours and the animation only 30 minutes! Watch how I draw it in the video below!